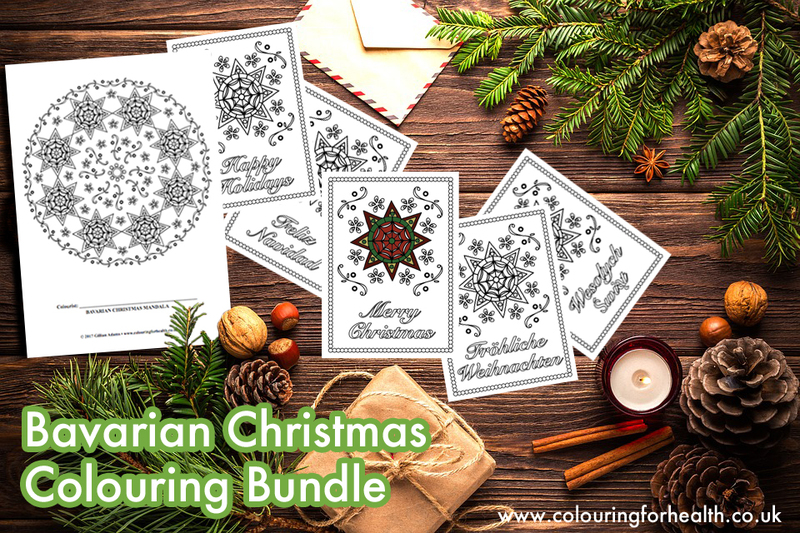 Are you looking for an extra special Christmas card that you can colour yourself? Inspired by Bavarian Christmas markets, this is ONE beautiful design with Merry Chirstmas in FOUR languages - English, Spanish, German, and Polish, plus Happy Holidays for the USA. You can print these onto card and they fold to approx 5" x 7". Plus there's a lovely Bavarian Christmas mandala design to colour too. NB: This is a digital file which you will receive as a PDF. © 2017 Gillian Adams (For personal use only, and not for resale).